Welcome to PARK LOFTS, one of Vancouver's most exclusive Boutique Loft Building's. 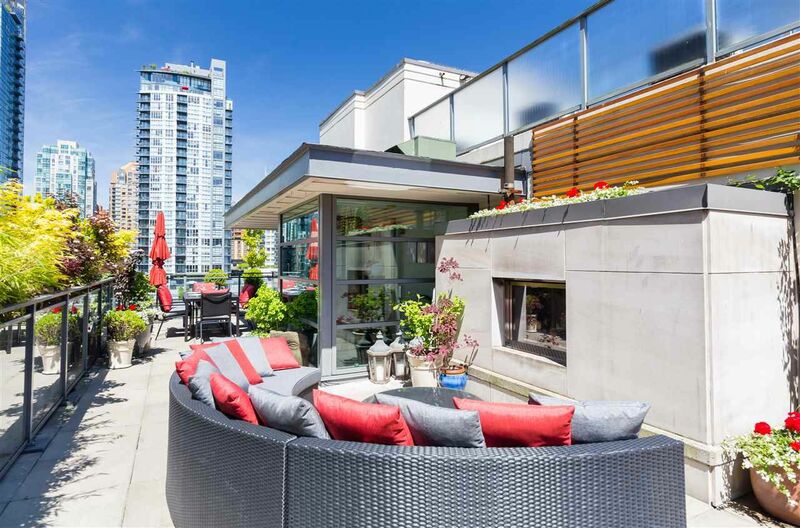 This unique Yaletown Penthouse is one of only 12 residences that offers over 800SF of Private Rooftop Patio space with an outdoor Gas Fireplace, automatic outdoor irrigation and lighting & a protected exposure overlooking Yaletown and Emery Barnes Park. This unit is an extremely rare find boasting an open concept floor plan perfect for entertaining with extensive upgrades including custom millwork built-ins throughout, S/S appliances with a Wolf Gas Range, Wine Fridge, designer inspired polished tile flooring & A/C. Park Lofts was built with unparalleled architectural detail and design. This truly is a one of a kind opportunity to own in one of Yaletown's most iconic buildings.